Santa and Reindeers? You're crazy. 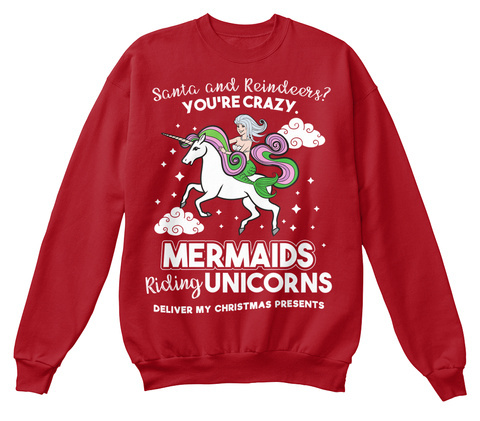 Mermaids riding unicorns deliver my Christmas presents.